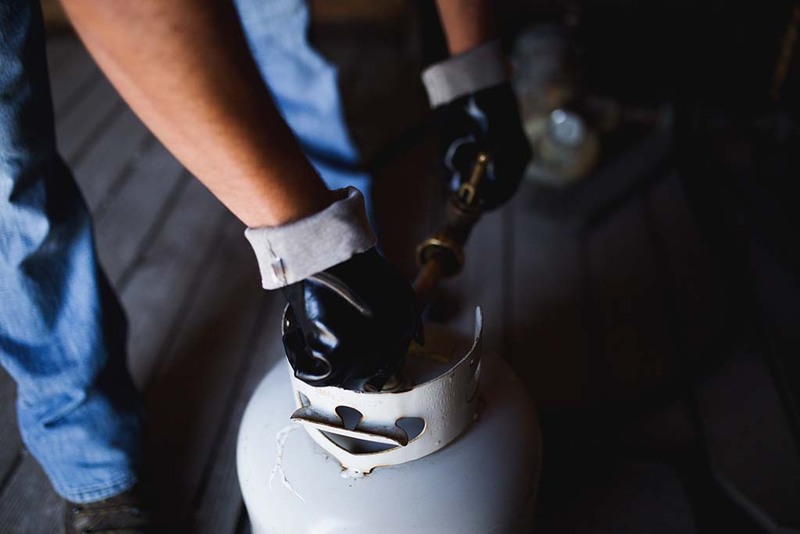 Propane’s versatility makes it the fuel of choice for leisure and commercial activities. Big B Agro’s convenient and economical cylinder and RV refilling station is the go-to destination in Central Illinois to fill up. Use our fast drive-up service during business hours or drop off your cylinders at your convenience. Save money with our value pricing and keep your own cylinders! Our mission is to provide our customers with dependable service and fair pricing. When you choose Big B Agro for your RV and cylinder refilling needs, you can always expect to pay the most reasonable price. Big B Agro’s refilling station is conveniently located at our office between Warrensburg and Latham at 8220 N. Rt. 121, Warrensburg, Illinois. Drive-up service is available Monday through Friday from 7 a.m. until 3 p.m.
Big B Agro’s RV and propane cylinder refilling options offer advantages that other companies simply can’t match like competitively low rates, cylinder retention, and complete filling.